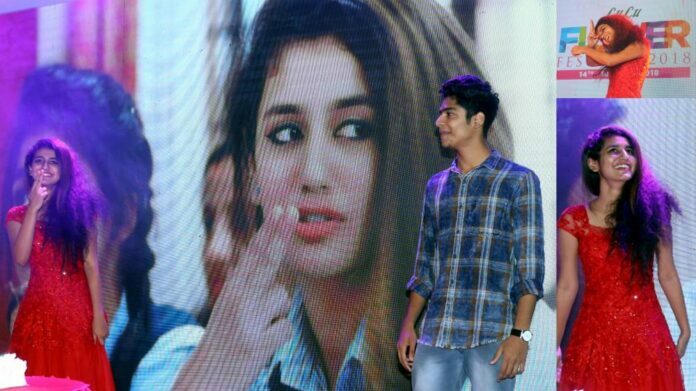 Oru Adaar Love Telugu Rights Sold: Malayalam beauty Priya Prakash Varrier is lucky as she became an overnight sensation. We already told you that she is now the most talked about celebrity on social media. 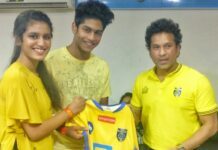 This feat the actress has achieved even before the release of her debut Malayalam flick Oru Adaar Love. The girl literally winked her way to fame. 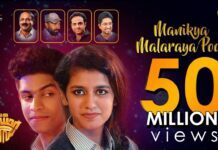 Before the wink video went viral, Oru Adaar Love was only known to Malayalis but now we hear the film is going to release in Telugu and Malayalam. And Oru Adaar Love Telugu Rights Sold! There’s every chance that the film will release in other languages too. So far, there is no official confirmation of the same. Even before her debut, Tollywood producers are actually planning to sign up the actress in their movies. It would be interesting to know who Priya will share screen space with next. Like we already said Oru Adaar Love Telugu Rights Sold. And we hear that Allu Arjun’s Naa Peru Surya Producer Lagadapati Sridhar has reportedly bagged the Telugu rights of Oru Adaar Love for a whopping 2.5 Cr plus with GST. Trade analysts predict that the Telugu version of Oru Adaar Love will fetch good numbers at the box office. As of now, there are no new releases in Tollywood. Oru Adaar Love is directed by Omar Lulu and music has been composed by Shaan Rahman. Oru Adaar Love is all set to arrive in theatres on March 1 this week in theatres across the world. 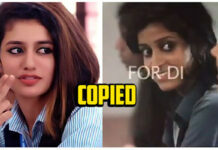 Priya Prakash Varrier Viral Wink Scene Copied from Malayalam Film Kidu?